Researchers think the fountain of youth resides inside our cells in tiny telomeres – the protective caps on the ends of all human chromosomes that protect our genetic data. Looking remarkably like the plastic tips on the ends of shoelaces, our telomeres play a role in human diseases, such as heart disease and cancer, says a study published this month by the Royal Society of the UK. Telomeres play essential roles in tissue regeneration with stem cells. Life extensionists have long dreamed of calibrating their health by measuring telomere length and boosting their health by rebuilding their telomeres with telomerase, or RNA therapy. Researchers have shown that other compounds also help maintain telomeres, such as resveratrol-analogs and a commercial product called TA-65. The first article in this series delves into the importance of telomere length and provides an in-depth look at using telomerase to lengthen telomeres. For the time-pressed, a brief review of telomeres of telomerase is outlined in the next section of this article. Article Link: In-depth look at using telomerase to lengthen telomeres for rejuvenation. Telomeres protect the ends of chromosomes. Telomeres are the protective caps on the ends of chromosomes. Telomeres are not only protective, but they also act as a biological clock. Each time a cell divides, its telomeres get a little bit shorter. Telomeres of normal cells shorten after each replication. As we grow older, the telomeres throughout our body become progressively shorter. Once a cell has divided about 50 times, it’s the end of the road for the cell which either becomes senescent or undergoes a form of cell death. Some cells, however, refuse to self-destruct and become senescent cells. Senescent cells produce buckets of inflammatory compounds and cause a great deal of trouble throughout the body. Telomerase maintains and lengthens telomeres. Not all of our cells will endure this fate; some our cells remain immortal by using an enzyme called telomerase to rebuild their telomeres after dividing. Telomerase counteracts telomere shortening and replenishes telomeres, extending the lifespan of the cells permitted to have it. The rank and file cells of the body aren’t allowed to use telomerase, and their telomeres shorten with each division until they die. The telomere-repairing enzyme is only used by embryo cells, stem cells, and tumors. Embryo cells and stem cells are involved in growth and regeneration and need to be immortal to do their jobs. This way, they keep their telomere length constant despite repeated cell divisions. Unfortunately, cancer cells also use telomerase to maintain a constant telomere length and remain immortal. Tumors have a trick to turn on the flow of telomerase. Cancer cells can keep rapidly dividing, long after they should have reached the end of their lifespan. Using telomere length as a marker of biologic age is an attractive idea. Telomere shortening occurs naturally with each cell division, and exposure to harmful environmental factors, such as free radicals, may accelerate the process. Because telomeres grow shorter with cellular damage, scientists suggest using telomere length as a biomarker of aging. In other words as a way to measure accelerated aging in individuals, a condition in which a person’s biological age is older than their chronological age. However, researchers have called into doubt the accuracy of studies which rely on telomere length. Article Link: The accuracy of telomere length studies as a biomarker of aging. Researchers link short telomeres to a variety of human genetic disorders, including some respiratory diseases and cancer. In addition to these rare genetic diseases, scientists link short telomeres in the general population to several common chronic conditions, such as cardiovascular diseases, hypertension, diabetes, and dementia. Article Link: The role of telomere length in chronic human diseases. Longevity researchers believe that telomeres are a protective mechanism against cancer. Telomeres put a natural limit on a cell’s growth. Each time a cell divides, its telomeres get progressively shorter, until it reaches a critically short length. When the telomeres reach this point, the cell can no longer divide. Cancer cells have mechanisms allowing them to bypass this limiting mechanism. Tumors don’t play by the rules and divide without limit. Tumors merely rebuild their telomeres using the enzyme telomerase. Some scientists have suggested stimulating our flagging stem cells by supplementing with telomerase. Researchers suggest that telomerase enhancing therapy will rejuvenate our organs and extend our lives, but they are worried about the side effects, especially cancer. Having overly long telomeres seems to predispose humans to cancer. Some people point to experiments which show that mice supplemented with telomerase do not get cancer and mistakenly generalize it to humans. For example, a group of researchers led by Bruno Bernardes de Jesus experimented using telomerase to extend the lifespan of mice. The team inserted telomerase into a group of adult and old mice with the aid of a viral vector. The researchers observed that the telomerase-treated adult mice lived 24% longer while the older mice lived only 13% longer. Notably, the treated mice did not have increased cancer. The study suggests that if a mouse given telomerase does not develop cancer, then a human given telomerase won’t develop cancer either. However, mice and humans are different, and they defend against cancer in different ways. In a recent study, authors Aviv and Shay suggest that mice and many other short-lived small mammals do not use telomere dynamics to protect against cancer. Article Link: The role of telomeres in cancer. Research suggests that chronic stress—both cellular and psychological — can significantly reduce telomere length, which in turn causes cells to age. Cell stress is a fact of life. The cells in our bodies are subject to stress from toxins such as cigarette smoke, air pollution, UV light, and internally generated free radicals. Moreover, researchers have found that psychological stress accelerates telomere shortening and epidemiologic studies link telomere shortening with chronologic aging. Our cells have response mechanisms to deal with these stressors, and a well-running stress response keeps these stressors from damaging our cells. Unfortunately, our cell’s ability to deal with stress declines with age and with specific diseases. When the cells can’t handle the stressors correctly, it can cause inflammation and can shorten telomeres. Some researchers consider telomere integrity as a type of macromolecular damage because there is evidence that telomere shortening activates the DNA repair response and induces cellular senescence. Researchers are trying to figure out ways to improve our cell’s stress response, especially when it comes to programmed forms of cell death. 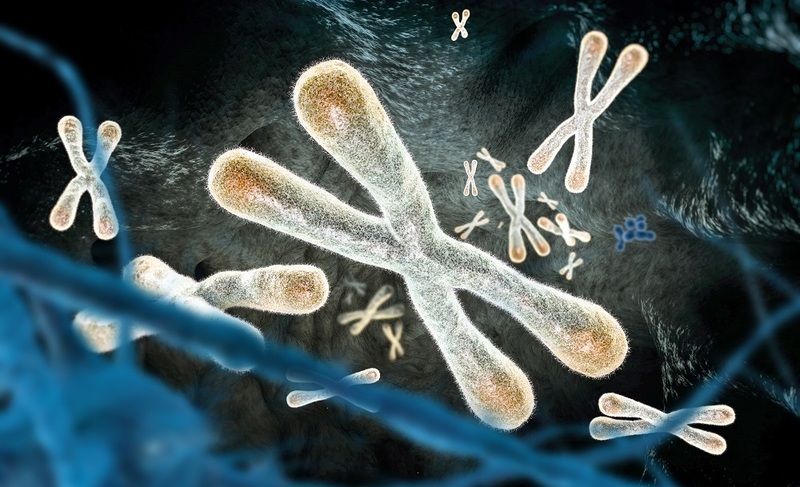 Article Link: Cell stress shortens telomeres. A team at the University of Exeter has discovered a new way to rejuvenate worn-out human cells called senescent cells. The research team led by Dr. Elizabeth Ostler and Professor Richard Faragher used a formulation of resveratrol on cells in a test tube. Within hours of treatment with the novel compound, the older cells started to divide and had longer telomeres. The research team published their findings in the journal, BMC Cell Biology. While promising, the results were only reported in a test tube, so this discovery might never make it to the clinic. Article Link: Old human cells rejuvenated with a resveratrol analog. Some children are born with a rare disease called progeria, a genetic condition that causes them to age rapidly. A team at Houston Methodist Research Institute used RNA therapy to lengthen the telomeres of these children’s cells, making them younger in the process. Dr. John Cooke is department chair of cardiovascular sciences and is the lead author of a recent paper describing the experiment and published in the Journal of the American College of Cardiology. Cooke’s team examined cells from children with progeria and noticed that 12 out of the 17 participants in the study had shortened telomeres, appearing similar to aging cells from an elderly man. Cooke suspected that if he could lengthen the telomeres of these children’s cells, he could improve their health. To test the theory out, Dr. Cooke’s team used a novel procedure called RNA therapeutics that inserts RNA directly into cells. As soon as the foreign RNA was inserted into the children’s cells, it spurred them to produce telomerase. Dr. Cooke remarked that before the RNA therapy, the cells would multiply poorly and die quickly. After inserting the foreign RNA, things changed dramatically. Dr. Cooke said that the “cells proliferated normally. It was a dramatic improvement.“ Cooke also noted that markers of aging, such as inflammatory proteins, were also reduced. Excited by these promising results with cell cultures, the team plans to do more advanced research with lab animals, and if that proves successful, the next step is human testing. The researcher believes that, when developed more fully, RNA therapy can fight the chronic diseases of aging and maybe reverse the aging process itself. Article Link: Boosting telomere length using novel RNA therapy. Share this post on social media and help us spread the word– Click on any of the social media links on this page to share this post on your social media page. Cover photo credit: Vitstudio / Shutterstock. Abraham Aviv, Jerry W. Shay. “Reflections on telomere dynamics and ageing-related diseases in humans.” Philosophical Transactions of The Royal Society B Biological Sciences, Published 15 January 2018.DOI: 10.1098/rstb.2016.0436. Link to Article. P. Scaffidi, L. Gordon, T. Misteli. “The Cell Nucleus and Aging: Tantalizing Clues and Hopeful Promises.” PLoS Biology Vol. 3/11/2005, e395 doi:10.1371/journal.pbio.0030395. Link to Article. De Jesus, E. Vera, K. Schneeberger, AM Tejera, E. Ayuso, F. Bosch, & MA Blasco. “Telomerase gene therapy in adult and old mice delays aging and increases longevity without increasing cancer.” August 2012, EMBO Molecular Medicine. doi:10.1002/emmm.201200245. Link to Article. Klinger, Rebecca Y. et al. “Relevance and Safety of Telomerase for Human Tissue Engineering.” Proceedings of the National Academy of Sciences of the United States of America 103.8 (2006): 2500–2505. PMC. Retrieved from the Web. 13 Oct. 2017. Available Online. Eva Latorre, Vishal C. Birar, Angela N. Sheerin, J. Charles C. Jeynes, Amy Hooper, Helen R. Dawe, David Melzer, Lynne S. Cox, Richard G. A. Faragher, Elizabeth L. Ostler, Lorna W. Harries. Small molecule modulation of splicing factor expression is associated with rescue from cellular senescence. BMC Cell Biology, 2017; 18 (1) DOI: 10.1186/s12860-017-0147-7. Available Online. University of Exeter. “Old human cells rejuvenated in breakthrough discovery on aging.” [Press Release] ScienceDaily, 7 November 2017. Link to press release. Yanhui Li, Gang Zhou, Ivone G. Bruno, John P. Cooke. “Telomerase mRNA Reverses Senescence in Progeria Cells.” Journal of the American College of Cardiology. 2017. Volume 70, Issue 6, Pages 804-805. Available Online.